Cardiac bypass surgery is a procedure that restores the flow of the blood to the heart, when there obstruction occurs due to blockages in one or more arteries. These arteries are bypassed by using blood vessels taken from the other parts of the body like chest and legs. The blood vessels bypasses over the blocked artery to create new pathways for oxygen-rich blood to flow to the heart. These blood vessels restore and improve the blood flow to the heart. This surgery is usually performed with the heart stopped, necessitating the usage of cardiopulmonary bypass; techniques are available to perform bypass surgery on a beating heart, so-called "off-pump" surgery. Depending on the number of blocked coronary arteries, a patient may need one, two, three or more bypasses. Patient has a blockage in one or more of his/her coronary arteries. Coronary arteries are the small blood vessels that supply your heart with oxygen and nutrients that are carried in your blood. If a patient has one or more artery severely narrowed and obstructing the blood flow and a weak pumping heart. Patient has an artery blockage for which angioplasty isn't appropriate and had a previous angioplasty or stent placement that hasn't been successful, or had stent placement but the artery has narrowed again. Cardiac bypass surgery is also done in emergencies conditions like heart attack when other treatments are not responding. The goals of cardiac bypass surgery is to relieve symptoms of coronary artery disease such as chest pain (angina) and /or shortness of breath (including angina), which enables the patient to resume a normal lifestyle and to lower the risk of a heart attack or other heart problems. Loss of mental clarity, or "fuzzy thinking"
Patient’s risk of developing these complications depends on the overall health and lifestyle before the surgery. The success rate of cardiac bypass surgery depends on following factors which are considered while selecting surgery procedure on an individual basis. The success rate for cardiac bypass surgery is 98%. According to studies in many patients with poor heart muscle function – resulting from a heart attack – the poor function improves after the procedure. Success rate depends on the risk factors such as kidney problems, diabetes or hypertension. 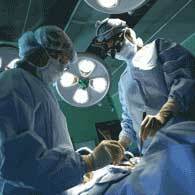 Lower the risk factors higher the success rate of cardiac bypass surgery. Always patient should tell doctor or nurse what drugs he/she is taking, even drugs or herbs bought without a prescription. For the 2-week period before surgery patient may be asked to stop taking drugs that make it harder for his/her blood to clot. These might cause increased bleeding during the surgery. They include aspirin, ibuprofen (such as Advil and Motrin), naproxen (such as Aleve and Naprosyn), and other similar drugs. If patient is taking clopidogrel (Plavix), talk with surgeon about when to stop taking it. Patient should ask doctor which drugs should still take on the day of the surgery. Patient should contact doctor if have a cold, flu, fever, herpes breakout, or any other illness. Patient will usually be asked not to drink or eat anything after midnight the night before surgery. This includes chewing gum and breath mints. Patient is told to take any medications with a small sip of water. 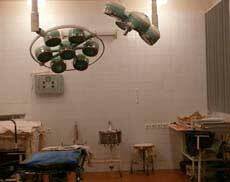 Patient will receive general anesthesia before the procedure starts. The surgeon will make a 10-inch surgical cut (incision) in the middle of the chest. Breastbone will be separated to create an opening so that surgeon can see heart and aorta, the main blood vessel leading from the heart to the rest of the body. Surgeon may use a vein, called the saphenous vein, in patient’s leg. To reach this vein, a surgical cut will be made along the inside of leg, between ankle and the groin. One end of the graft will be sewn to coronary artery. The other end will be sewn to an opening made in aorta. A blood vessel in the chest, called the internal mammary artery (IMA), can also be used as the graft. One end of this artery is already connected to aorta. The other end is attached to the coronary artery. Other arteries are also being used for grafts in bypass surgery. The most common one is the radial artery in one’s wrist. This surgery can take 4 to 6 hours. After the surgery, patient will be taken to the intensive care unit. 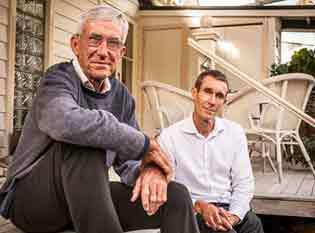 In recent years, the risk of serious complications due to cardiac bypass has been dramatically reduced due to improved surgical techniques. After the bypass surgery patients can improve their health and lessen their likelihood of further cardiac disease. After bypass surgery, the blood supply to the area of the heart that was previously restricted due to narrowing of the artery supplying that area is restored. The blocked artery has now been bypassed. Bypass surgery often relieves symptoms of chest pain (angina), improves exercise performance, and reduces the risk of a future heart attack. Cardiac bypass surgery may offer the advantages of greater durability and more complete revascularization. Alternatives to bypass surgery are usually based solely upon the results of an angiogram that show the presence of coronary artery disease. Most are grossly undertreated with alternative modern medications and other bypass surgery alternatives such as exercise, weight loss, cessation of smoking and stress and blood pressure control. Patient can consider the option of MIDCAB when the blockage is in the arteries located on the left anterior descending (LAD) artery. This artery and its branches are located on the front of the heart. This procedure can only be used when there are no more than two bypasses required. India offers treatment of various complicated diseases at a very reasonable cost. India has become the healthcare hub for international patients as it provides with the latest in medical treatment facilities and best services making it easy and comfortable. Indian medical institutes offer gamut of services ranging from general medicine & surgery for many diseases and complications. Cardiac bypass surgery is available in major cities like Mumbai, Pune, Kochi, Goa, Kerala, Jaipur, Chandigarh, Delhi, Bangalore, Chennai, Kolkata and Hyderabad. These cities have world class hospitals that attract a huge crowd of international patients who opt for low cost cardiac bypass surgery in India other than home country. The cost of Cardiac bypass surgery in India is much lower than that in any other developed country. International patients visit India for the procedure as they get it done at a cost which is competitive and reasonable. Here is the cost comparison of treatment in India and other countries. It came as a shock to us when my dad went to consult the doctor for a regular check up and it turned out that all his coronary arteries were blocked. In fact, according to doctor he was on the verge of having a heart attack and thus required to undergo cardiac bypass surgery without the delay of even a day. We were all very nervous as we did not have the time to go for the second opinion and thus relied completely on the doctors of Indian Health Guru with his life. I must say that I will never be able to express enough gratitude towards the doctors and entire staff for the kind of support and care they showed during that difficult time.